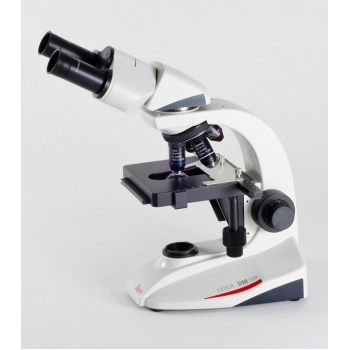 The Leica DM300 compound microscope is compact, maintenance-free and easy to use to provide trouble free operation each day. The DM300 is equipped with a pre-centered, pre-focused professional condenser system for maximizing illumination, a built-in mechanical stage with low-position x/y control for accurate specimen movement at high magnifications and clearly labeled adjustable iris diaphragm for fine tuning the image resolution. Click the button below to add the Leica DM300 LED Binocular Microscope to your wish list.